Friday, October 26, 2018 from 8:00 a.m.-11:00 a.m. 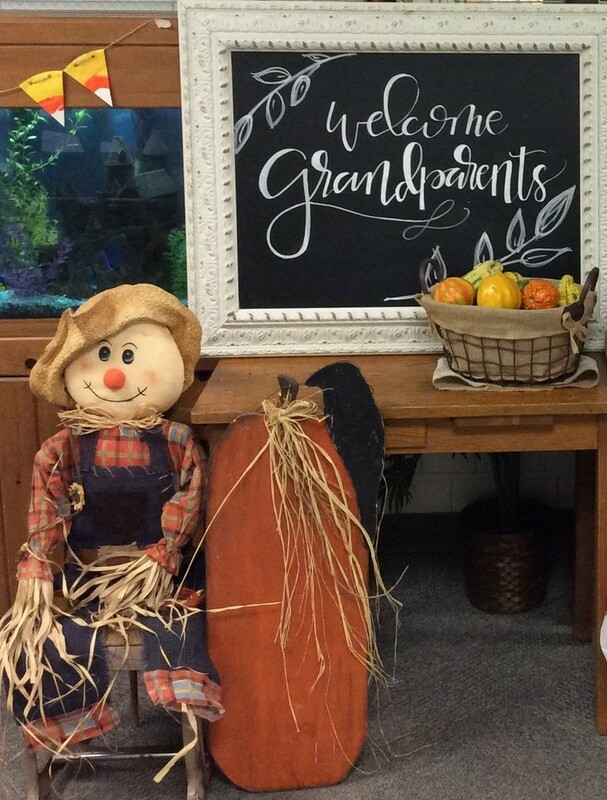 Afternoon Pre-K Grandparent's Day will be from 1:00 p.m.- 2:00 p.m.
Donuts and Coffee will be served for the Grandparents and our school’s book fair will be open for this special day! We encourage students whose grandparents are unable to attend to invite someone special in their lives to join them on Grandparents Day. Thank you for helping us to make this event a positive, memorable, successful experience for your child!